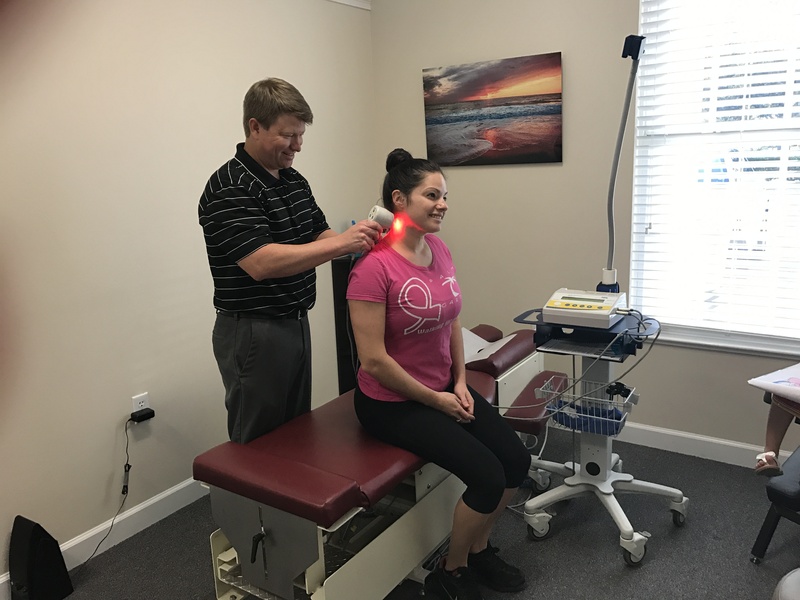 Cold Laser Therapy or as it is also called, Low Level Light Therapy, has been used for over 25 years to aid in the treatment of many injuries. Cold Laser Therapy is not used to heat or cut tissue, but used to stimulate injured tissues of the body to regenerate. The light energy passes through the skin to stimulate circulation and energy production of the area of involvement. This in turn can help speed up the healing of the area of injury. The patient feels nothing other than a slight warming sensation during treatment, which usually lasts for 5-10 minutes. Patients usually zip in for treatment at thier leisure, and are out and back on their way in just a few minutes.